Review: Pedigree Dog Food Trial! 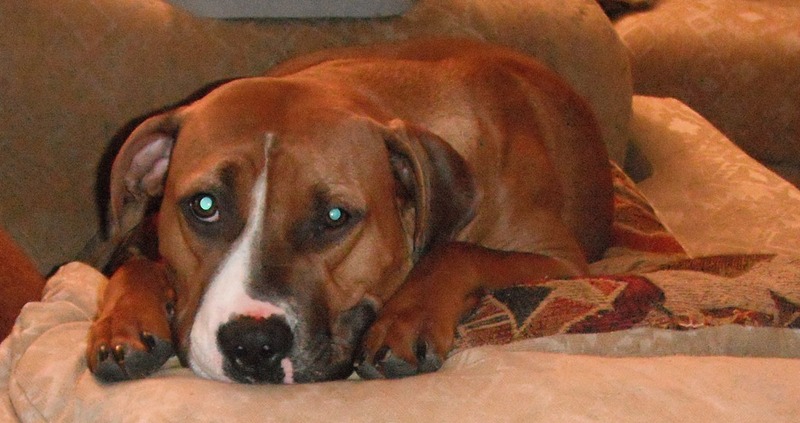 You are here: Home / Great Deals / Review: Pedigree Dog Food Trial! A few weeks ago I told you that we were testing Pedigree Dog Food for our Molly. She has really enjoyed it. We have tried a few foods on her since we adopted her and she wasn’t thrilled about any of them, but this one she really likes. She gobbles it down when we feed her and the other day, I was talking to my Mom and she was standing in the kitchen and Molly was in the kitchen barking – which is odd Molly rarely barks at anything. Mom turned to see what she was barking at – Molly had found the bag of Pedigree in the pantry and was barking at it! She makes us laugh daily, she is such a great dog, she is the ever faithful companion to Bear – she follows him everywhere. She pulls him on his skates, his skateboard and runs along side him when he rides his bike! She is quite the friend! 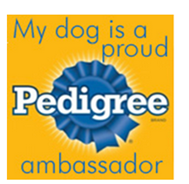 We are very happy to have received this Pedigree Dog Food! We are glad to have found something that she really loves! You can learn more about pedigree at Pedigree.com. You can also follow them on Twitter @PedigreeUS. If you are interested in adopting a friend of your own – check out the Pedigree Adoption Drive Facebook page! If you would like to try out Pedigree for your pet, here are some coupons you could use!